Novartis is one of the world’s top pharmaceutical companies, and along with neighbours Roche, the mainstay of Switzerland’s centuries-long contribution to new medicines. Headquartered in Basel, Switzerland, Novartis has only been in existence in its current guise since 1996. However its roots go a long way back: it was created through the merger of two top Swiss companies, Ciba-Geigy and Sandoz Laboratories, in what some say has been the “most successful pharma merger”. As you can probably tell from the name, Ciba-Geigy was also formed through the merger of two companies. And as you’re about to notice, not only were the pharmaceutical products they created over the years similar, but Ciba, Geigy and Sandoz’s histories intertwined long before their final merger in 1996. In 1758, Johann Rudolf Geigy-Gemuseus began trading in “materials, chemicals, dyes and drugs of all kinds” in Basel, Switzerland. Meanwhile in Basel, in 1859, Alexander Clavel took up the production of fuchsine in a silk dyeing factory, before selling the factory to Bindschedler & Busch in 1873. Three years later, the company has a commercial presence in Germany, France, England, Italy, Russia and the US. By 1884, Bindschedler & Busch had transformed into a joint-stock company and was renamed Gessellschaft fur Chemische Industrie Basel or “Ciba” for short. Ciba’s first pharmaceutical substances were antiseptic Vioform and antirheumatic agent Salen in 1900. The roots of Sandoz date back to 1886, when chemical company Kern & Sandoz was established in Basel by Dr Alfred Kern and Edouard Sandoz. By 1895, the company had produced its first pharmaceutical substance: antipyrine, which was a fever-controlling agent. In 1917, Professor Arthur Stoll created Sandoz’s pharmaceutical department and research began. A year later, Stoll isolated ergotamine from ergot and the substance went on to treat migraine headaches. It was introduced onto the market as Gynergen in 1921. In 1918, all three companies created a pooling agreement called Interessen-gemeinschaft Basel (Basler IG). However, this arrangement was disbanded in 1950. Seven years later, Geigy began to produce textile auxiliaries – this business was taken over by Ciba in 1928. In 1938, Geigy decided to increase its focus on healthcare and established a pharmaceutical department. Antirheumatic drug Butazolidin (phenylbutazone) was the company’s first product in 1949. By 1958, Geigy successfully entered the psychotropic market, marked by the introduction of Tofranil (imipramine). A year later, the company introduced the first long-lasting diuretic, Hygroton (chlorthalidone) for the treatment of high blood pressure, followed by antiepileptic Tegretol (carbamazepine) in 1963. The abbreviation “Ciba” was formally adopted as the company name in 1945 (although people had been calling it this for years). In 1963, Ciba introduced a breakthrough product for the treatment of iron and alumium overload called Desferal (chelating agent-deferrioxamine methanesulphonate). In 1929, Sandoz introduced a breakthrough product called Calcium Sandoz, which laid the foundation for modern calcium therapy. Melleril (thioridazine HCl), a neuroleptic drug, was introduced in 1958 – this product marked a milestone in the history of psychotropic pharmaceuticals. In 1970, Ciba and Geigy merged to form Ciba-Geigy Ltd. Ten years later, a biotechnology unit was established. In 1981, the first transdermal delivery system, Scopoderm TTS (hyoscine hydrobromide) was introduced for travel sickness. Ciba-Geigy established CIBA Vision in 1987 and in 1994, its formed a strategic partnership with biotechnology company Chiron. While Ciba and Geigy became one, Sandoz continued to advance its pharmaceutical business, introducing anti-allergic drug Zaditen (ketotifen) in 1977, followed by immunosuppressants Sandimmun (cyclosporine) in 1982 and Neoral (cyclosporine) in 1994. In December 1996, Sandoz and Ciba-Geigy merged to form Novartis in one of the largest corporate mergers in history. Sandoz remained as a subsidiary of Novartis and today develops, manufactures and markets generic drugs. Today, Sandoz employs over 23,000 people in 130 countries, with global headquarters based in Holzkirchen, Germany. Dr Daniel Vasella was the first CEO of the newly merged company. Vasella was hired by Sandoz back in 1988 and remained there until 1992 when he was promoted to CEO of its parent company, Sandoz Pharma. Vasella helped to orchestrate the merger between Sandoz and Ciba-Geigy and was appointed CEO of the combined entity. He was also on the Board of Directors and was named Chairman in 1999. 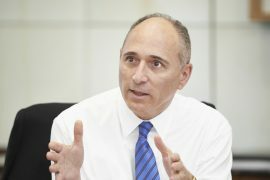 Vasella stepped down as Novartis’ CEO in January 2010 and was replaced by Joseph Jimenez, who was the Division Head of Novartis Pharmaceuticals. He announced his retirement as Chairman of the Board of Directors and was succeeded by Jorg Reinhard in August 2013. Since its establishment, Novartis has unified and strengthened its global business and research network. In 2002, the company increased its investment in Roche to just under one-third of Roche’s voting shares. In the same year, it also created the Novartis Institutes for BioMedical Research (NIBR), which headquarters in the US. In 2003, Novartis acquired the worldwide adult medical nutrition business of Mead Johnson and Company, which is a subsidiary of Bristol-Myers Squibb, and also US biotech Idenix Pharmaceuticals, expanding its antiviral medicines unit. In 2004, The Novartis Institute for Tropical Disease opened in Singapore, with a focus on biomedical research for dengue fever and drug-resistant tuberculosis. The company also acquired two generics companies: Durasacan from AstraZeneca and Sabex of Canada. The NIBR joined forces with the Broad Institute of MIT and Harvard in the US to research genetic causes of type 2 diabetes. In 2005, Sandoz became the world leader in generic pharmaceuticals after acquiring Germany’s Hexal AG and US-based Eon Labs. The same year, Novartis acquired the North American over-the-counter brand portfolio of Bristol-Myers Squibb. In 2006, Novartis announced the creation of a biomedical R&D centre in Shangai, China. In 2007, Novartis sold its non-core business divestments of the Gerber and Medical Nutrition Business Units to Nestle for $5.5 billion and $2.5 billion respectively. During this time, Novartis also had many breakthroughs in the pharmaceuticals sector. One of the most significant advanced in cancer treatment in the first decade of the 21st century was Glivec (known as Gleevec in the US). One of the first truly targeted cancer agents, Glivec has transformed outcomes for patients with chronic myeloid leukaemia (CML) and acute lymphocytic leukaemia (ALL). A landmark clinical trial in 2005 showed that 90% of patients taking Glivec for CML were alive after more than four years of treatment. 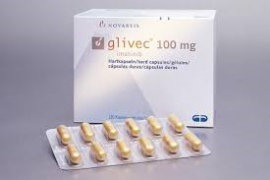 According to Novartis, the Glivec International Patient Assistance Program has provided free treatment to nearly 27,000 patients in over 80 countries who would otherwise not have had not access to this innovative therapy. 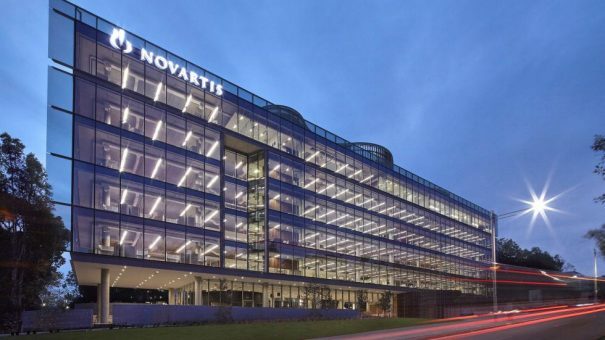 The US Department of Health and Human Services granted Novartis with a contract for up to $220 million in 2006 to build a cell culture-based influenza vaccine plant in the US, recognising Novartis as a leader in influenza vaccine development. Between 2001 and 2009, a total of 300 million malaria treatments of Coartem, a highly effective artemisinin-based combination therapy, were delivered by Novartis, saving an estimated 750,000 lives in more than 60 malaria-endemic countries. By 2013, over 125,000 people worked for Novartis – 47% in Europe, 24% in Africa, Asia and Australia, 21% in the USA and 8% in Canada and Latin America. The main portion of employees (over 60,000) worked in pharmaceuticals – the company’s main focus – while the rest are split between Alcon, Sandoz, Vaccines and Diagnostics, Consumer Health, Shared services and Corporate. The company’s Pharmaceuticals Division focuses on researching, developing and manufacturing treatments across a variety of therapeutic areas, including: auto-immunity, cardiovascular, dermatology, infectious diseases, metabolism, neuroscience, oncology, ophthalmology, respiratory, rheumatology, and transplantation.